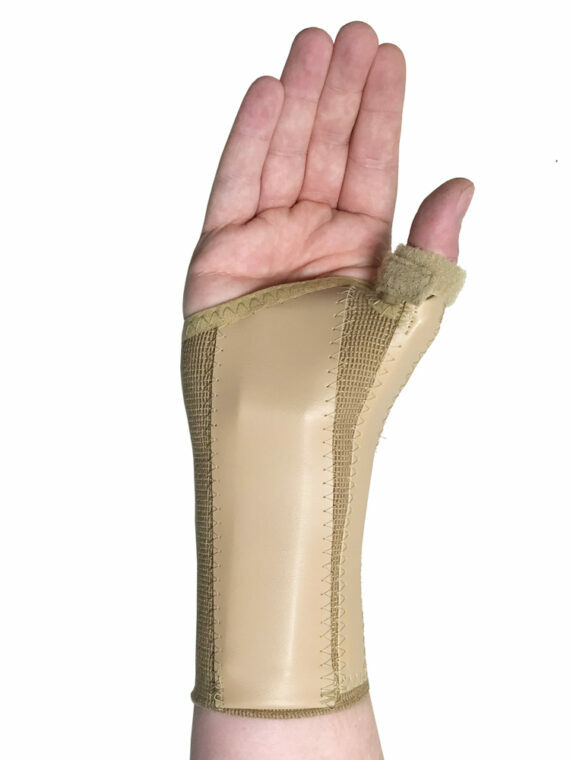 British made delux wrist brace made from revolutionary AirX TM material offering a breathable neoprene, foam and elastic alternative now desired by the health industry. 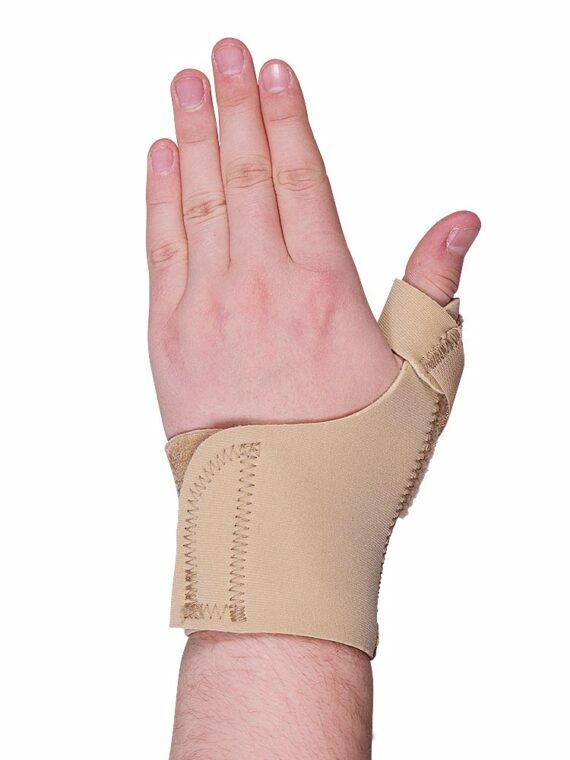 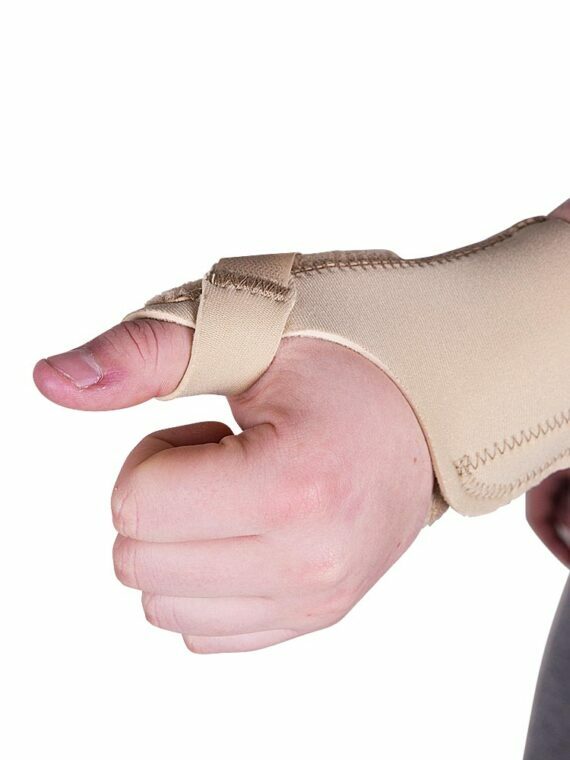 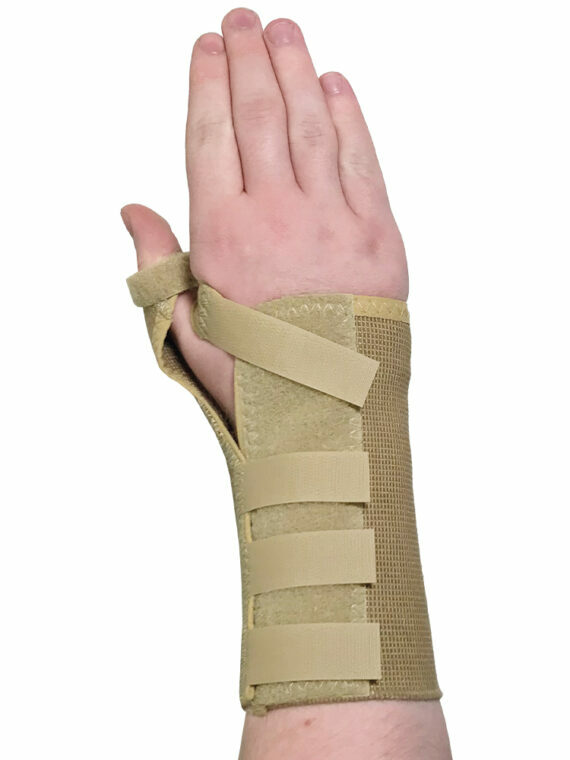 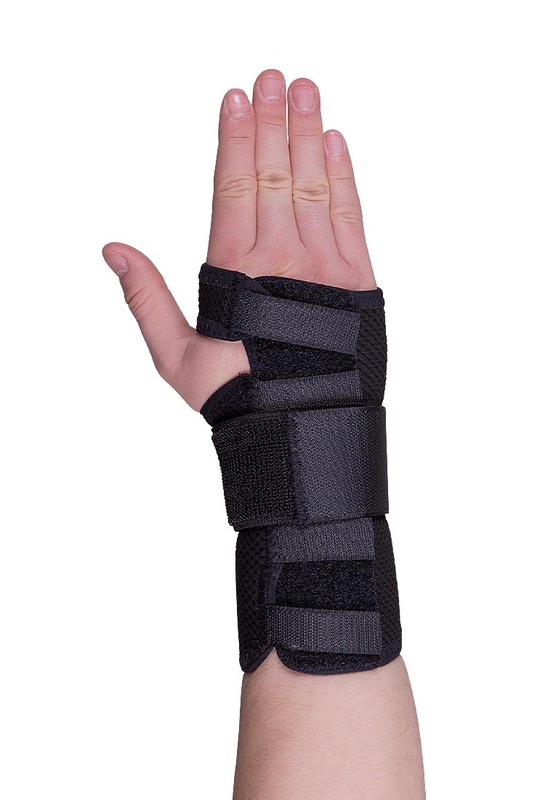 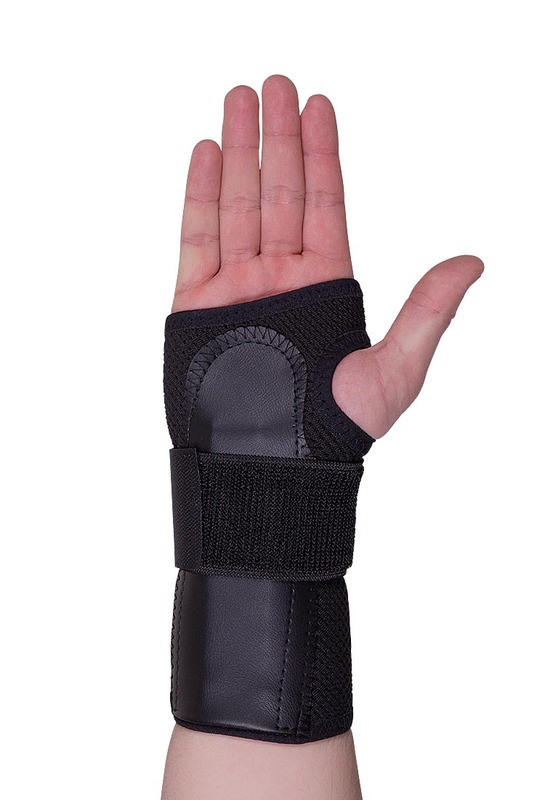 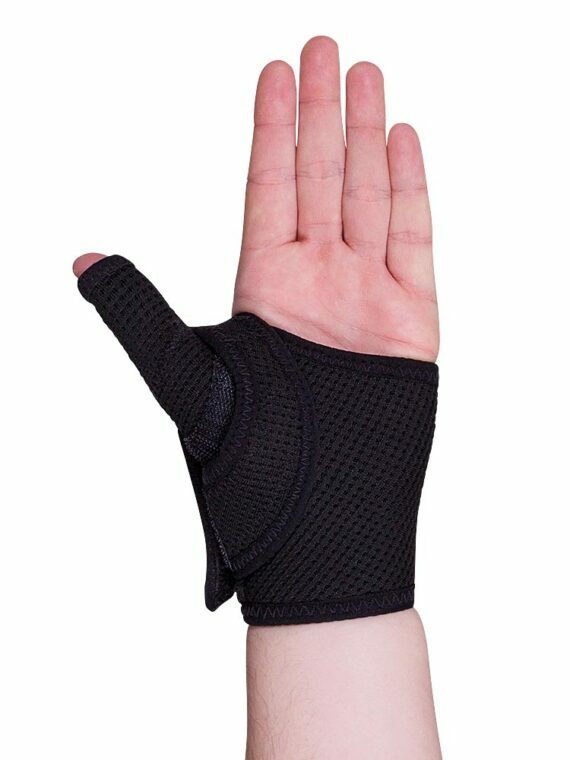 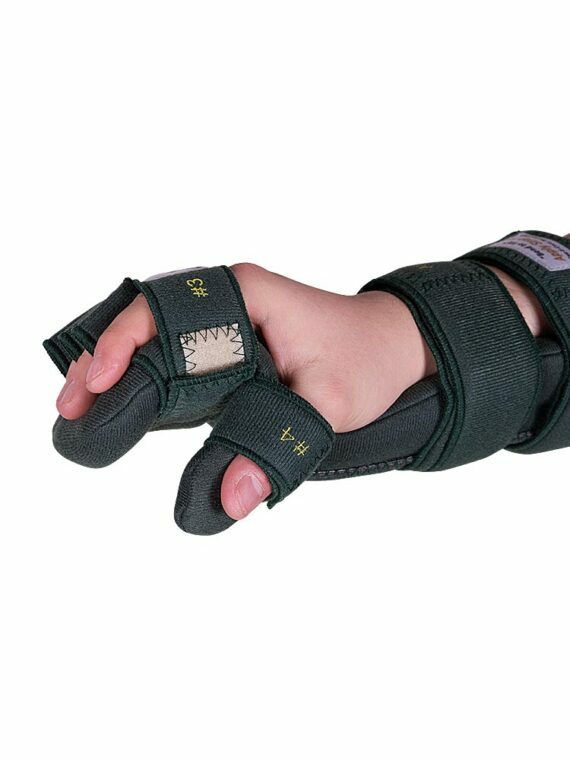 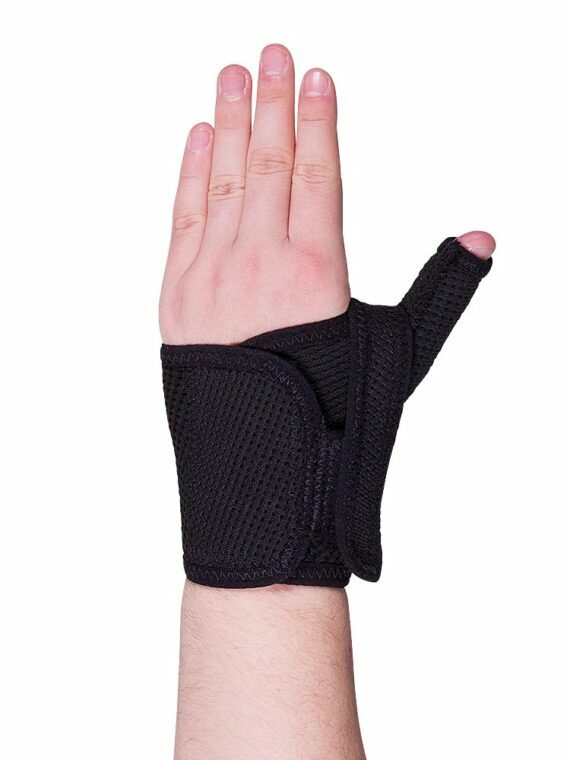 The brace restricts movement of the wrist and hand whilst holding the hand in a neutral position. 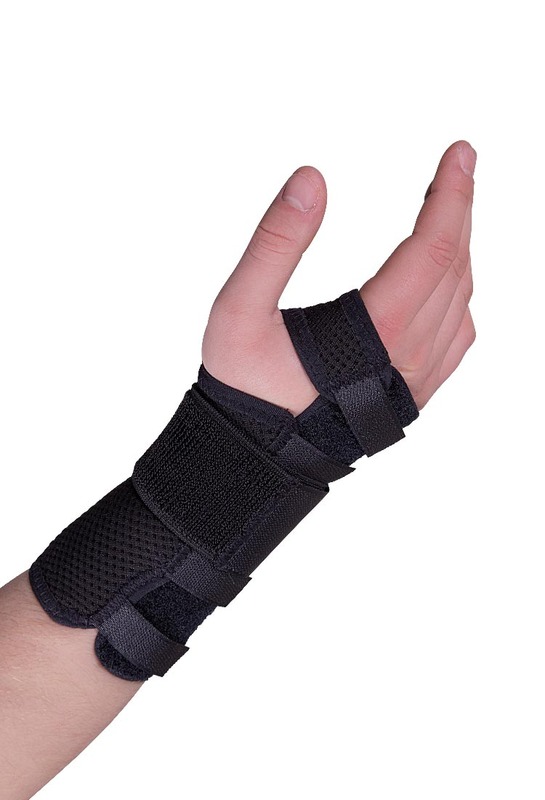 The addition of a breathable elastic wrist strap helps create added stability, durability and support. 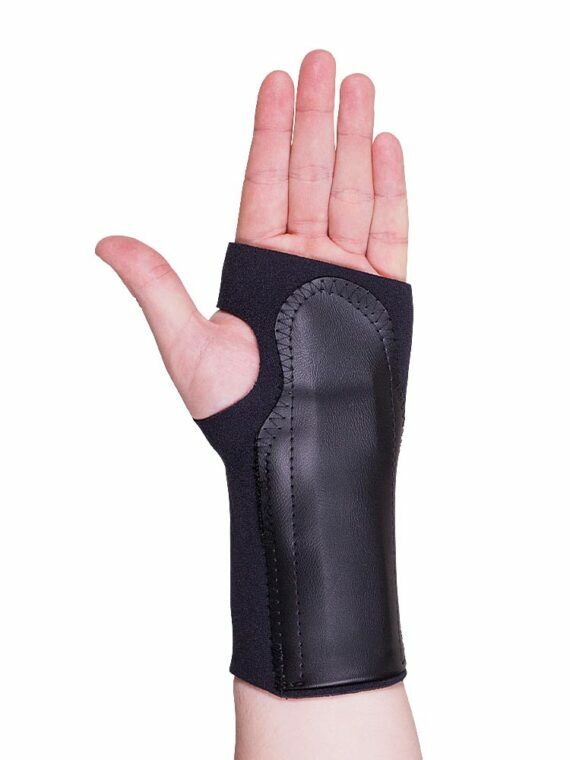 AirX TM prevents moisture build-up and is more comfortable against the skin and is suitable for extended use. 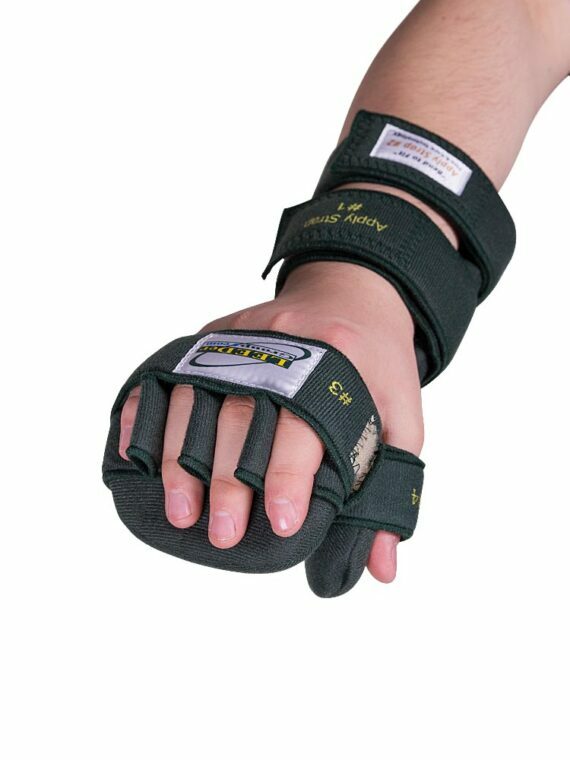 The aluminium bar is malleable and can be adjusted to the individual. 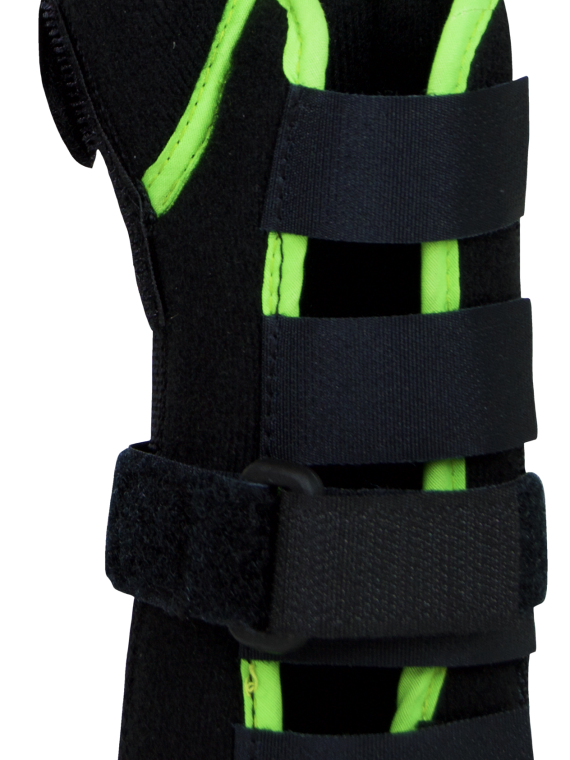 All in all, a high-quality orthosis designed for optimum patient compliance and providing super value. 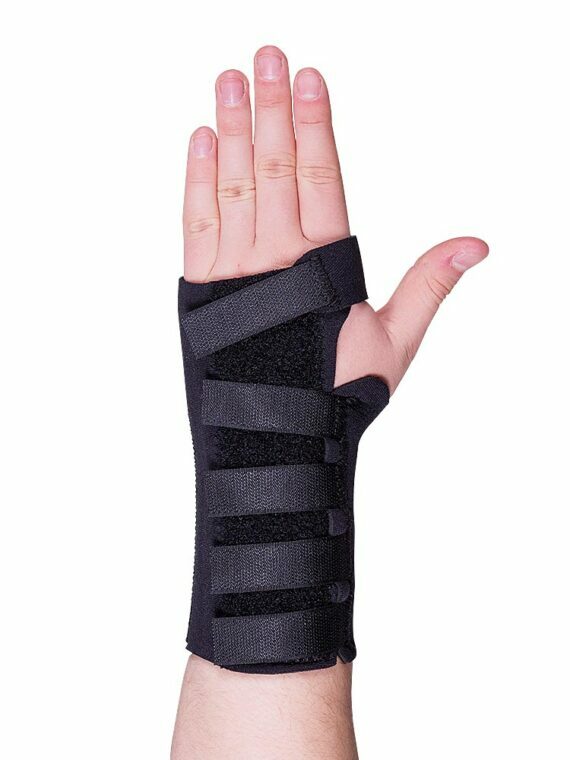 Also available in neoprene and elastic versions.